Water bodies are one of the most attractive aspects of every landscape. Therefore, while designing landscapes, we keep in mind installation of important water bodies like garden ponds and other aquatic features. Imagine having a landscape where you are surrounded by refreshing garden ponds filled with fresh water. 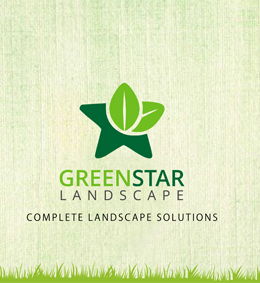 To make this dream real, Greenstar Landscape works on every detail of your landscape, adding ponds, fountains and other water bodies of different sizes and shapes to your property. Customers can choose these according to their whims and fancies. We also provide pool services as per the specifications of clients. Waterfalls are one of the most attractive accessories that can be incorporated into a landscape. They can make it look alive, with the flowing water adding charm to the view. Water features can be indoor or outdoor, depending upon the location that the customer defines. The size of the water bodies can vary, as can their form- for example, flowing water on walls, a bunch of stones or in a still fountain. We give wings to your dreams of building an eye-catching landscape with aid from our highly skilled architects and designers. All accessories installed in landscapes are sourced from authentic market vendors, availed at the best price for the best quantity. Adding water bodies can also be beneficial for watering plants and shrubs. We at Greenstar provide a range of innovative designs for water bodies, customizable to each property according to needs of our clients.